Listen up Rascal Flatts fans – it’s the chance that you’ve all been waiting for… as they head back on the road and bring their wide collection of songs to center stage. This must-see show will be taking place on Saturday 24th August 2019 at the Jiffy Lube Live and you can now be a part of it! If you love their music then you can't afford to miss this one. As they tour North America, tickets are flying for their exciting show… book yours today! 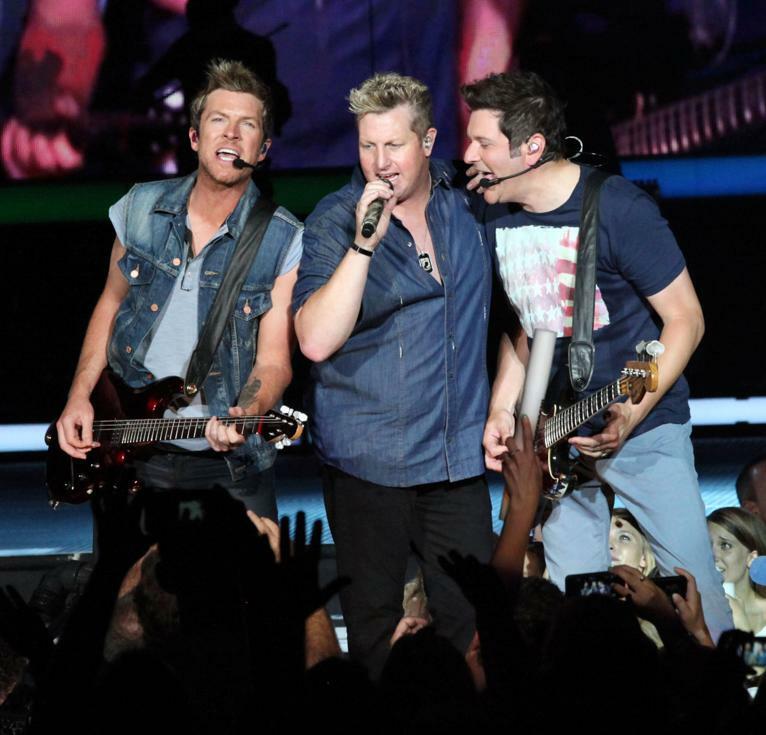 As one of the busiest bands on the scene, the country-pop vocal group Rascal Flatts first formed together in Columbus, Ohio, back in 1999. The band, formed of Gary Vox (lead vocalist), Jay DeMarcus (bassist, vocalist, pianist, record producer and songwriter) and Joe Don Rooney (lead guitarist and vocalist), were signed to Disney Music Group's Lyric Street Records in 2000 and have since released seven consecutive albums on the label all certified platinum or higher by the RIAA. They have charted twenty-five top twenty singles on the Billboard Hot Country Songs Chart, including sixteen number one hits, and have sold over 23 million records and 10 million tickets to date! This group just keeps on giving and for 2019 Rascal Flats bring yet another groundbreaking tour to North America as they go "Back to US" there's a serious buzz around them as they take to the stage across the united states and fans can't wait to see whats coming next – so whatever you do, make sure you come and be a part of the very special night!